Imagine a time when a community would get together for a proper celebration, walking the streets in merriment, serenaded by horns and the beat of the drums. 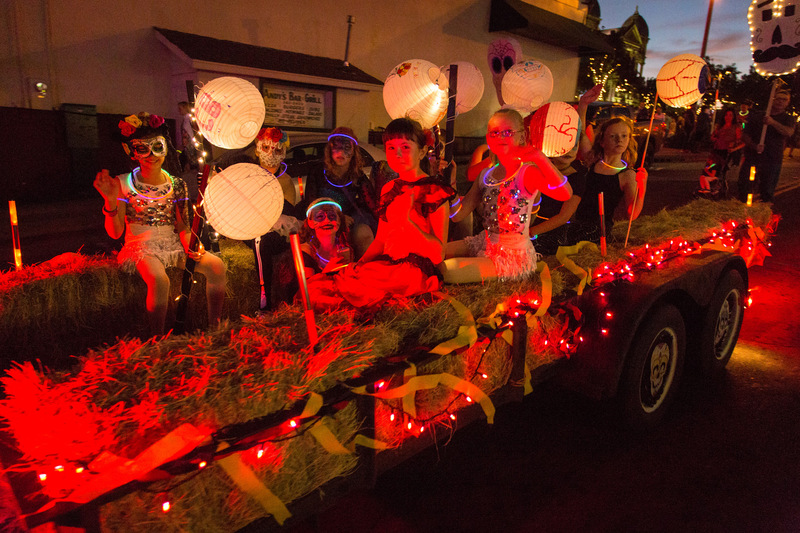 Let our lantern-lit parade bring that magical imagery to life! Don your finest costume, design and build your own paper lantern or puppet and join the fun. 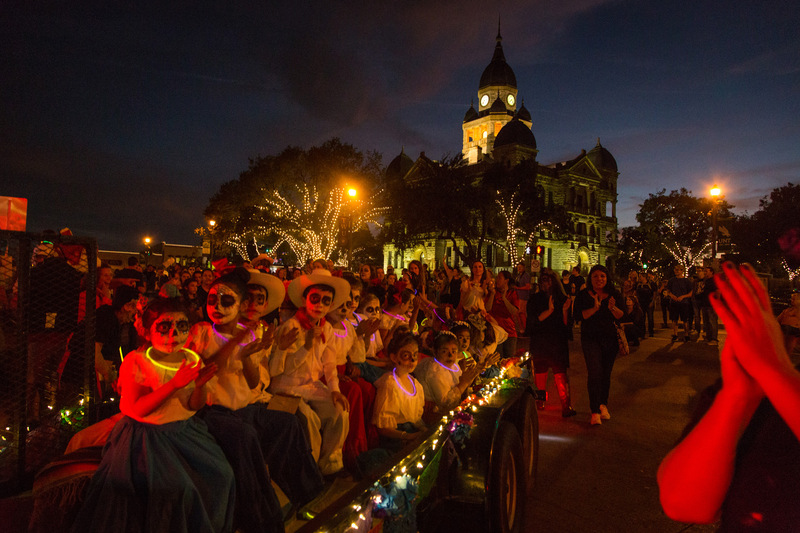 Winding around the square and surrounding streets, our lantern parade is free and open to everyone. 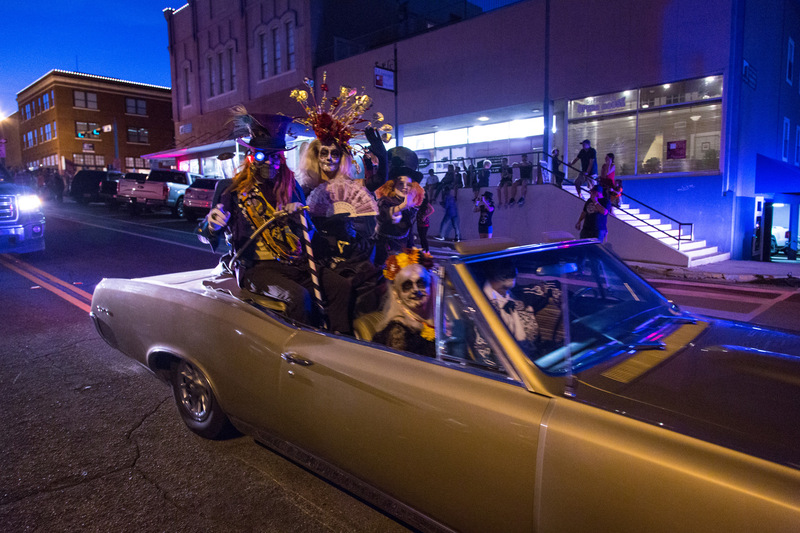 The 2018 Twilight & Costume Parade will line up at 6:00 p.m. on Oct. 27 at Austin & E. Hickory streets. Join us with illuminated lanterns, glowing costumes, and blinking bikes. Bring your decorated cars, trucks, and floats. Slap some lights on a musical instrument or a drum and march with us! The parade ends at Oakland and E. Hickory Street, where you can dance to the last band of the night or get your tickets to Cirque du Horror! 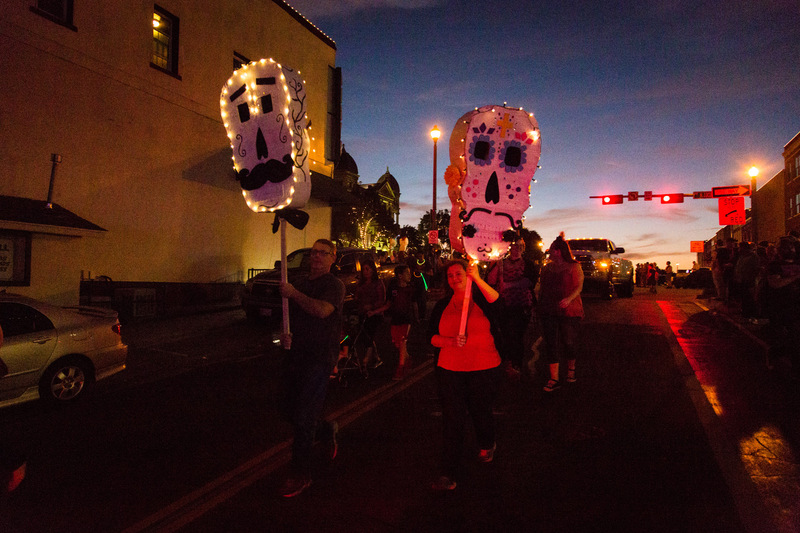 If you’re interested in participating in the 2018 Twilight Lantern & Costume Parade, register online here. 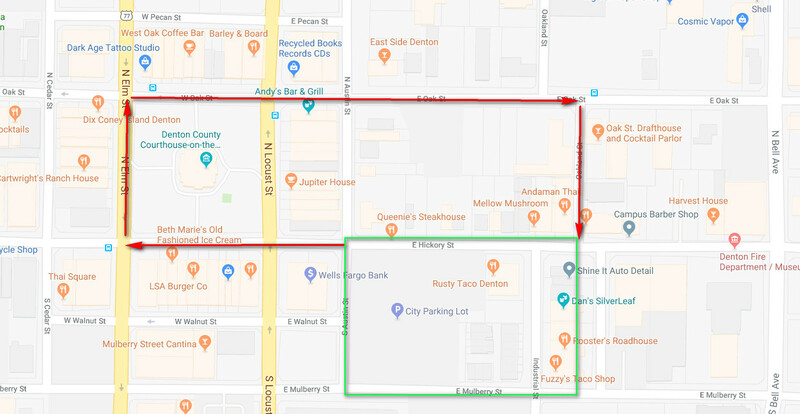 Entry deadline (floats, cars/trucks, bikes, bands & drummers): Oct. 12, 2018. For more information send an email to ddodparade@gmail.com.